We had a bit of a “breakthrough” at our house yesterday. My daughter, who is four years old, refused to go to see a movie in a movie theatre. When she was two-and-a-half, we went to see “Up” with her best friend, also the same age. Both girls sat staring at the screen, wide-eyed, mouths full of popcorn. They lasted a little over an hour before both girls got restless and asked to leave. When she was three-and-a-half, we went to see “The Princess and the Frog” in the theatre. She lasted about 45 minutes before Daddy had to take her out to explore the lobby, and they returned for the last 15 minutes of the film. Since then, she has had her ups and downs with movies, even refusing to watch DVD’s, and then embracing them again. I love movies so much and even made them my career, I’ve wondered how this could possibly be my child? Going to the movies was such a major part of my childhood, and even adulthood, I was hoping to share the magic of movies with her. I can’t remember what my first movie in a theatre was exactly, but I think it was Disney’s “Candleshoe” starring a young Jodi Foster. Or it was an early 1970’s version of “Pippi Longstocking.” I loved movies so much, my dreams of moving to Hollywood and doing anything in the film industry started at a very young age. Since then, we’ve tried and failed several times to go see films with our daughter in the theatre. While I was out-of-town working, my husband tried to take her to see “Gnomeo and Juliet.” They made it to the box office before a meltdown sent them in a different direction that day. She did watch “Gnomeo and Juliet” on DVD and it is now one of her favorite movies. Last summer, we all tried to go see “Winnie the Pooh.” This time, we bought the tickets and made it into the lobby before a “Transformers: Dark of the Moon” trailer playing on a big screen sent her running for the door. We were able to coax her back and made it as far as a bench outside Theatre 5, where we sat watching children happily enter the theatre. Ella could not find the courage to go into the theatre saying she was “too scared.” We got a refund and went to do something else that day. That actually makes it sound like it was a pleasant experience, when in fact it’s been frustrating for all parties involved. Our daughter can be very anxious, we know this and we try to roll with it in most situations. She can also express her feelings extremely well for a four-year-old. So, when she asks to go see a movie and then refuses to enter the theatre, it’s a little confusing and disheartening. We’ve talked to several people who say it’s normal and she’ll grow out of it. Her doctor said sign her up for therapy, it’ll only get worse. We didn’t, and when we went back a year later, the same doctor reversed his diagnosis and said not to worry until she entered Kindergarten and it affected her school work. So, this week, after seeing a commercial for Disney’s “Chimpanzee,” our animal loving four-year-old asked if we could go see the movie. In the theatre. I admit, I was skeptical, but I told her we could go the next day. She said she would “try,” but she really wanted to see it. So, we went. We purchased our tickets without incident, we entered the lobby without incident, we bought our popcorn and high fructose corn syrup ladened drink, and we entered the theatre without incident. Success! We watched Oscar and his group as they ate nuts, made beds high in tress and fought rivals. Unfortunately, Oscar’s mom was not so lucky during one of these fights, leaving Oscar an orphaned chimp. Turns out, other chimps in a group are not so loving and kind towards an orphaned one of their own. I won’t tell you what happens; you can go see for yourself. 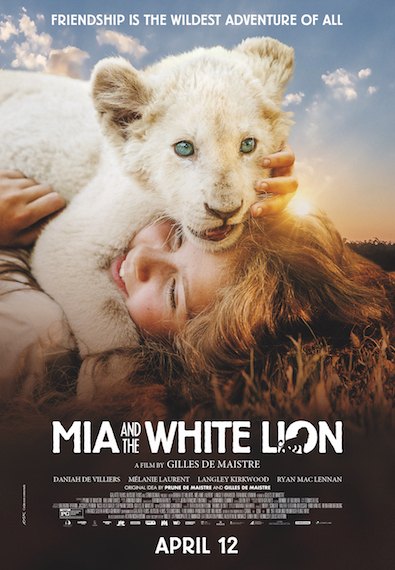 If you go see it before May 3, 2012, Disney will make a donation to the Jane Goodall Institute. The reality is our daughter has always let us know when she is ready to do something, or get rid of something (such as her pacifier that some people were convinced she was going to Kindergarten with, however, I was not one of those people.) We, as her parents, need to trust her. There’s a quote by someone named Angela Schwindt, “while we try to teach our children all about life, our children teach us what life is all about.” I think she’s pretty smart, and not just because we share a first name. And don’t underestimate the power of a chimp. Oscar is magic! I would give “Chimpanzee” a rating of 4 popsicles out of 5. Yay!!! I’m so glad Ella likes the movies now. What an accomplishment for her to overcome that fear. Congratulations Ella! Love this post Angela!!! What great instincts you have!